As locals, with an office on Ingham Road and fulltime Supervisors in Townsville, we have experienced one of Queensland’s worst flood disasters on record with you. Ambrose Building is a Queensland family owned company that specialises in insurance repairs across Queensland and we have been completing insurance repairs in Townsville since 2011. As locals, we understand the local conditions, use local trades and local suppliers. Having responded to every major natural disaster since the Mackay floods in 2008, we have a large support network and proven infrastructure. Our response model to events is we fully engage all of our local trades and only look to bring in our event trades once our local teams are at capacity. Our “First-in / Last-Out” policy means we use local trades first, support them with event trades so repairs to homes don’t stall, and as the event comes to a close all event trades are transitioned out leaving the local trades to work with us long into the future. At all times, all vetted, licenced and qualified local trades are utilised to their full capacity ensuring locals are 100% involved in fixing Townsville. Bayset have worked closely with Ambrose Building for several years in managing and resolving difficult tiling and waterproofing repairs. We are proud to support the local Townsville community and Ambrose Building from our Garbutt store. McMahon Services has engaged with Ambrose Building on various projects throughout the Townsville area and we look forward to continuing the rewarding relationship that we have developed. Ambrose Building is our very value Client and we have spent a lot of time together on numerous job sites across Queensland. They have been always nice to deal with, very well organised and responsive. Their work and request are proceed through the online system, which gives us a good view of past and future working schedules. We are very confident to continue our cooperation with Ambrose Building. It has been a pleasure working with Ambrose Building during such a tough time in Townsville. Ambrose staff have been helpful, efficient and are obviously dedicated to showing support for our town and its local businesses. Hopefully our paths cross again under less unfortunate circumstances. Qld Painting & Coating offers painting & decorating services throughout Northern Queensland. We cater to all budgets for both interior and exterior for new homes, old homes & commercial outlets. We offer great value using premium paint! We would highly recommend Ambrose to everyone we know. MDP Tiling has had the pleasure to work along side Ambrose building for many years in and around the Townsville area. Highly recommend builder. We look forward in working with Ambrose Building. UWFA has proudly worked with Ambrose Building for a period of 5 years now starting in the Greater south east of QLD. UWFA has been exposed to many insurance builders and companies and can state that Ambrose understands the intricacies of timber floors. This has been paramount to executing the correct solutions to those customers with timber floors. Having worked closely now with Ambrose in the Whitsundays in the aftermath of Cyclone Debbie we are proud to support Ambrose, as they support us to get the right solutions every time. We as a Business that offer a variety of services including, Cabinet making, Glass & Aluminium, Locksmithing and Blinds & Shutters, have enjoyed a great working relationship with Ambrose Building. We have found them to be very efficient, helpful and knowledgeable in the Building Industry. All work related matters are handed with a professional and timely manner. We would highly recommend Ambrose Building to any future clients. My dealings with Ambrose building has always been pleasant, they do not cut corners and are very easy to deal with. Most important of all, when they say they will do something they do it. Ambrose is well organized and can successfully coordinate different trades at the correct time and correct order. Waltlec are a locally owned and operated electrical contracting business. We have worked with Ambrose Builders on other make safe and rectification works for North Queensland natural disasters and found them to be professional, efficient and reliable. Andersens Townsville have had the pleasure of working with Ambrose Building throughout the Townsville Region for the past 7 years. The team at Ambrose have always been professional, yet friendly and approachable in liaising with the scheduling and completion of clients claims. We look forward to continuing our relationship and Thank Ambrose Building for Supporting and Using Our Locally Owned and Operated Business and Trades / Labour. We do appreciate the work, and love that you are using local contractors. We have been a part of Ambrose Building since 2016. Numerous jobs we have completed on their behalf and have not had 1 problem along the way. They use all local tradespeople and their service and abilities are outstanding. Our Business would highly recommend them for any works you may need completed. Ambrose building have always looked to utilise our services where possible when dealing with insurance claims in the Townsville region. They are professional and communication with the customer on job progress is always a high priority. We enjoy working with Ambrose as they share the same value of high customer service and quality work as we do. The size of this event means Ash, Phil and Ben can’t do it all on their own. Therefore, you may meet one of our Supervisors from Cairns, Mackay, Rockhampton, the Sunshine Coast and even Brisbane who we have called on to assist. Customer Service is very important to us and we know that the number one cause of problems on a repair is the breakdown of clear and effective communication. 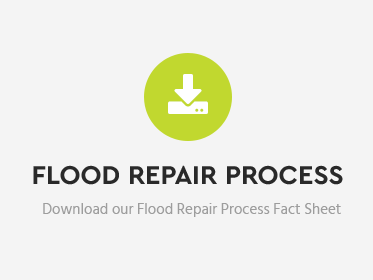 Therefore on each and every repair we allocate a QBCC Building Supervisor to manage and coordinate the repair on the ground and a Claims Administrator who is as a second point of contact to help answer questions or pass messages on if the Supervisor is unavailable. 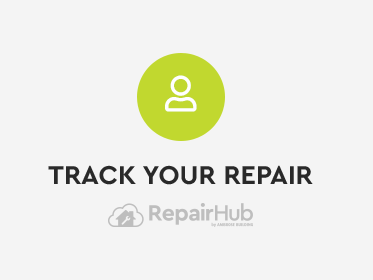 If at any time you have questions about your repair don’t hesitate to ask or track your repair via our Ambrose Building Customer Portal – Repair Hub. At Ambrose Building, our priority is you and your family’s safety. If you have any questions or concerns, please don’t hesitate to call our friendly team today. Are you a local trade looking to help? Ambrose Building is looking for local, licenced and qualified trades. Please send your Expression of Interest to us via our Working with us page.